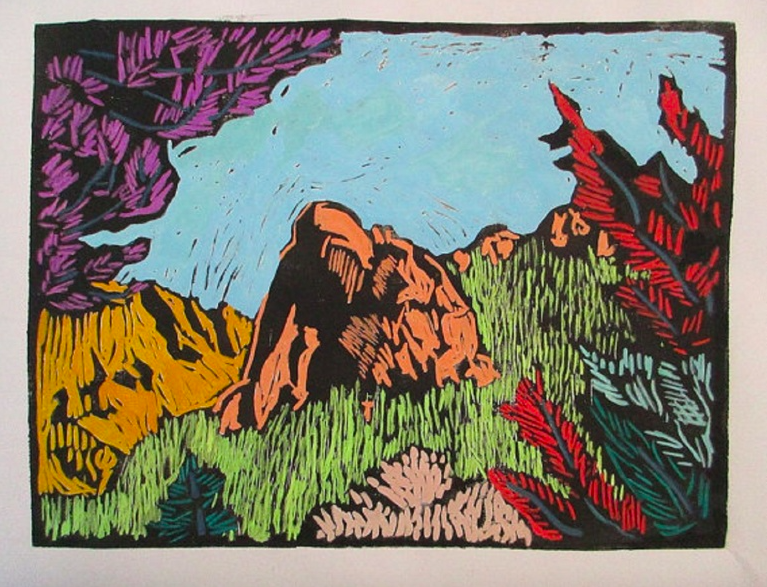 I don’t know too much about the artist, but this work is nice landscape and I enjoy the graphic element of the black lines from the linocut. The artist picks an almost fauvist color palette that is fun and bright! This would fit nicely into a standard wooden frame you can pick up at Ikea or Blick arts, and the price is very nice for an original, signed work.